AI in CX: Real or Superficial Intelligence? By all accounts, 2017 has ushered in the dawn of the newest Artificial Intelligence (AI) era. Most technology hype cycles follow typical paths, quickly shooting up, often followed predictably thereafter by a meteoric reentry to reality. Typically, the entire flight takes place over a decade or so, as the fuel of inflated hype burns out, and the gravity of commercial application pulls down on its excitement to test its true value. AI, however, seems different. It has appeared, drew much fanfare, and then disappeared several times already – more akin to a comet, flaring a tail of excitement with each new orbit. As it reemerges, nearing the heat of expectation once again, it lights up with a spectacular plume, flung into space for another long dark hiatus. AI history suggests five such orbits already – so is it destined for cold dark space soon? Regardless of the metaphor du jour, what we must inspect is the true value returned today, not the imagined expectations of tomorrow. The best test of commercial viability is not an intelligence test; it’s whether consumers are getting more value, and if the business offering the products & services are using AI technology as leverage, providing those things with higher margins. For example, my mobile device is now my phone, my Garmin, my camera, my alarm clock, my digital assistant, my video recorder, my dictation device, my virtual reality device, and so forth. 20 years ago, it might have cost me $5,000 for these services. Today, I get it all for $500 – $700. We’re all under pressure to do more in the same amount of time. To that end, these devices have become indispensable – they are essential to modern day survival – adapt to them, use them efficiently, or you’re passed by. Therefore, by some measures and definitions, AI has delivered this time around. Personally, I don’t care when a big company announces their sixth AI acquisition, or what their advertisements or creative animations say. In my view, the proof is if customers are buying, are satisfied with those purchases, and are reporting their lives are easier, more productive, and more enjoyable. Businesspeople must apply the same tests. Can they deliver better customer experience with AI? Are their product & services measurably smarter and more efficient? If they aren’t passing those tests, then it’s just superficial AI. As we all admire the latest bright tail of inflated expectation, let’s study what AI has really contributed to delivering better customer experience (CX) this time around. For starters, look again at that magical device, the smartphone. It streams location data, activity levels, browsing preferences, timing behavior, and the like. Businesses consume this contextual data, and use decision hubs infused with AI algorithms that in less than a second calculate a next best action or insight. That’s real! Big banks, telecommunication / technology firms, and retailers are doing this today to improve acquisition, on-boarding, cross selling, and retention rates. For consumers, the insights automatically delivered include recommended products, drive time estimates, calendar reminders, and service alarms. Alerts & notifications remind when bills are due, when fraud occurs, or when more exercise is required to meet goals. Cars drive & park themselves, thermostats learn, and media services understand consumer preferences. Customers can interact with machines by simply speaking to them. For the marketers responsible for engagement strategies, AI now recognizes buying patterns, automatically performs A/B and multi-variate tests, which ranks the best content & promotions for the right individuals, and even suggests the best timing for those recommendations. For salespeople, AI predicts the best contacts, opportunities, and accounts to spend energy on to maximize close rates. For service workers, AI deflects simple service requests, and guides agents on complex service processes to improve time to resolution, ultimately improving customer satisfaction. Simply put, there can be little argument that AI has delivered value during this orbit, much of it in the form of automation as opposed to higher-level intelligence. Fewer marketers deliver more relevant and better-timed tactics. 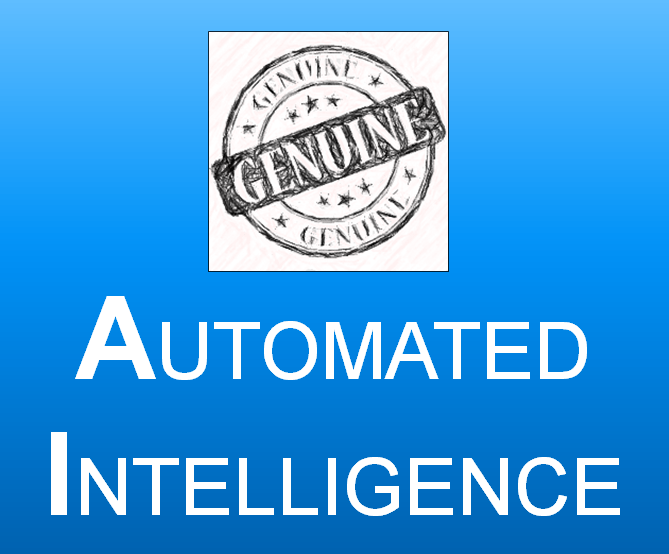 AI assisted sales means higher quality pipeline with sharper close rates. Contact center managers relish shorter handle times and more efficient call resolution with less staff, and consumers enjoy shorter wait times and voice / bot-assisted service. For those using AI, NPS and customer satisfaction scores are on the rise. All of these outcomes are commercially feasible. Every business (not just the avant-garde) must rapidly incorporate these proven technological capabilities. Hesitate, and the likely result will be eventual irrelevance. What’s next – In my lifetime? With all this said it’s back to our question. Can AI keep delivering, or is it bound to let us down soon? As humans, we love to dream. That’s important. In fact, regardless of how fast machines move forward, it’s still something that separates us from them. We envision a fanciful future, and plot our course toward it. Along the way, we stumble, get humbled, get up, and plot again. This is our nature. Each step along this evolutionary path, we create and refine machines that help us achieve our dreams. Our vision seems unchanged. We long to make life easier and more enjoyable for more of us. To do this, we must continue to refine our existing tools, and invent new ones that assist us, and make up for our physical and human limitations. No different from our first instruments, modern day smart tools take over tasks we were never very good at, or simply couldn’t do. They help feed us, optimize our resource consumption, and make our very survival possible. We are already dependent on them, and there is no turning back. This is also true for customer experience tools. Our expectations are high and climbing. We expect to interact with brands that listen, understand our preferences, react accordingly, and when something goes wrong, can turn on a dime and make things right instantly. When I enter a website, I expect the search to be intelligent, the user experience to be delightful, and the checkout process to be flawless. If I chose to do all this while mobile, I expect the same experience on my smartphone. If I need help, my first reaction is, “why did things go wrong in the first place…how could this have been prevented,” and then I test if resolution comes fast with low effort – and does the business learn from the mishap. This is the new normal. Unfortunately, many brands today are not delivering on this type of customer experience. The bar is high, but the elevation of game is not so much a demand from technology as from organizational re-tooling and reorganization to accommodate for technologies already commercially available. Technological advancements will continue to accelerate. Smarts will show up in more devices. We will demand our machines become more human, especially in delivering customer service and better experiences. As humans, we love a personal touch, a social exchange, a sense of community and belonging. So far, machines have not been able to deliver on any of these aspects. That’s changing. These developments are exciting. The possibilities are enormous. Yet until these become commercially viable and noticeably better with true customer engagements, you should train your eyes on what is real in AI today. For now, focus your investments and efforts on delivering real CRM value from AI tech today in the form of things like simple service request deflections, intelligent routing to the right agent, relevant product recommendations & next best offers (based on individual behavior profiles), and guiding salespeople with next best activities. 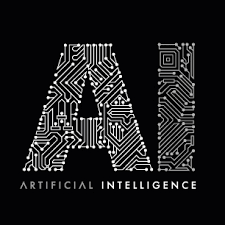 Meanwhile, keep close tabs on these other AI CX innovations as they progress, take some calculated risks on a few promising areas, and prepare for the next revolution of AI. The AI comet will be back shortly.